Is your human resource department hiring for your offices in other states? Or your finance department preparing payrolls for employees in other centres? These services by one office to branches in other states will be treated as “supply” and attract goods and services tax (GST), according to an order by the Karnataka Authority of Advance Rulings. The ruling implies that companies with offices in many cities will need to raise invoices for inhouse service functions and pay GST. 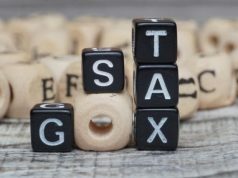 Although the tax can be claimed as an input credit by the receiving location in most cases, it would substantially increase the compliance burden for businesses spread across states. 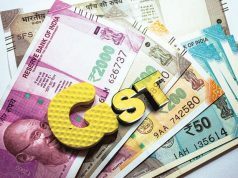 According to the ruling, a large business with its head office, say, in Mumbai, where the entire finance, IT and HR functions are centralised for its offices across states, would be deemed to be providing support services to other locations and hence need to raise invoices charging GST. In cases where goods or services are fully or partially exempt from GST — such as hospitals and schools — this would be an incremental cost. The AAR, in a ruling sought by Bengaluru-based Columbia Asia Hospitals, held that the employeremployee relationship in the corporate office exists only there and not with other office units, even if they are part of the same legal entity, as far as the GST law is concerned. “The activities… shall be treated as supply as per Entry 2 of Schedule I of the CGST Act,” the AAR said. It also held that the employee cost incurred at the corporate office should be considered while arriving at the value of goods or services provided by such offices to other locations. Tax experts said the ruling has wide ramifications for businesses, especially large ones with offices in various cities. “The government should therefore immediately look into this and provide a suitable clarification that at least the employee’s salary/cost should be excluded from the value of supply made by one office to another,” said Pratik Jain, leader, indirect taxes, at PwC. 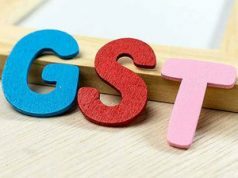 Jain said in sectors that are exempt or not within the ambit of GST, such as healthcare, education, petroleum and liquor, such inter-office activities should ideally not be considered as a service subject to GST and an exception should be carved out. There is also the issue of valuation of the service for levying the tax. “While there has been clarity that cross-charge of expenses would be liable to GST, the challenge lies in its valuation. As the crosscharge is between the same entity, such expenses are cross-charged at cost without any mark-up. It would be interesting to see whether such valuation is acceptable to the tax authorities,” said Harpreet Singh, partner, indirect tax, at KPMG. AAR is a quasi-judicial body that allows assesses to get guidance on their potential tax liabilities in a transaction beforehand. Its rulings are case-specific but they have a persuasive impact on tax assessment in the cases of other firms under similar circumstances.